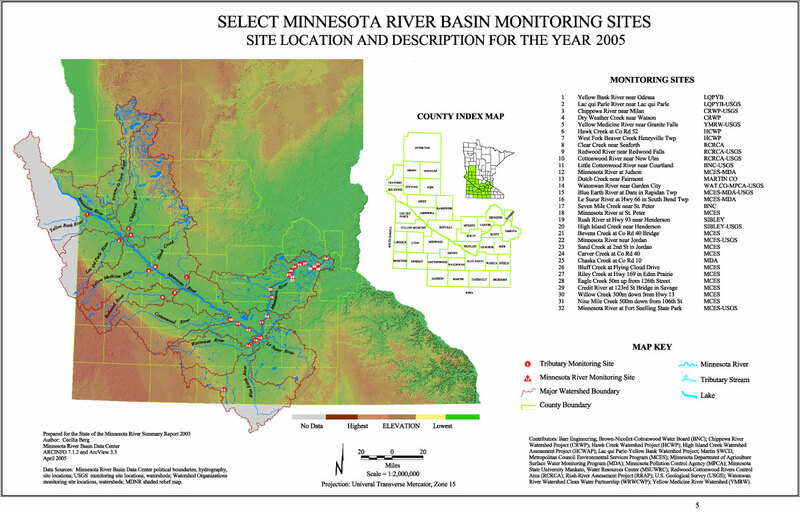 Water-quality data have been collected throughout the Minnesota River Basin during the past 30 years, but focused attention was placed on water quality issues when the Minnesota River Assessment Project, a comprehensive study conducted 1989-94, concluded that the Minnesota River was impaired by excessive nutrient and sediment concentrations. Previous studies had found that the river did not meet standards for bacteria, turbidity, dissolved oxygen and ammonia. Subsequent to those findings, considerable attention and support have been given to clean up efforts. In recent years, there have been substantial improvements in point source pollution control as well as continued adoption of conservation and best-management practices to reduce non-point source pollution within the Minnesota River Basin. At present, several organizations throughout the basin have responsibility for monitoring water quality in the Minnesota River and tributary streams. A multi-agency monitoring coordination effort was initiated in 2000 to assure standardization of field and laboratory methods and comparability of results. 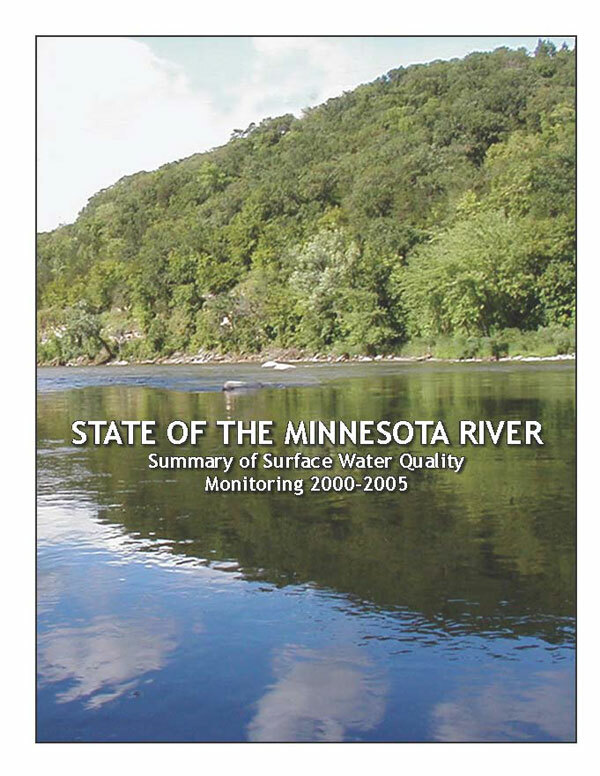 The purpose of the monitoring is to provide annual assessments of the current status of the Minnesota River with respect to water quality standards and goals, identify problem areas, and detect changes in water quality with time. A multi-agency team reviews and evaluates water quality data annually and prepares reports. Team partners include Minnesota State University-Mankato, state and federal agencies and many watershed projects throughout the basin. A special thanks to Greg Payne and Heather Johnson for their assistance with this report. The authors would also like to acknowledge the USGS and MDNR for much of the flow data that are utilized throughout this summary report. These agencies are a valuable resource for many organizations throughout the Minnesota River Basin. The State of the Minnesota River report is available as listed below. when using a modem. Viewing and printing time may be decreased by saving the pdf file to your computer's hard drive.